Let the cat fight begin! In the red corner, Diana Souhami, defender of Violet Trefusis. In the blue corner, Nigel Nicolson, son of Vita Sackville-West and representing her point of view. No, I’m not going to try and write this as a ring report, but for the most part of reading both in parallel it has been as if I was watching a boxing match – with few punches held. Both books focus on the lives of the two women at the time of their relationship. Although both books are good general biographies, it is really the relationship between Vita and Violet that gets all the attention. 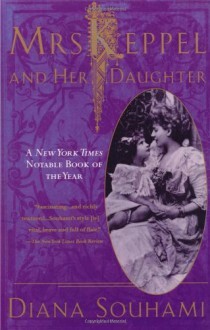 Of course, it is Vita’s own manuscript – her detailed confession of the relationship with Violet – locked in a drawer which Nicolson discovered after his mother’s death that caused Nicolson to write his book and so the focus on this part of Vita’s life is entirely justified. And it is a fascinating story – one which would even find its way into Orlando, Woolf’s adoring mock biography of Vita – full of jealousy, confusion, passion, and struggle for control. So, on one hand we have a book trying to vindicate Violet and attributing the misery of her emotional upheaval to Vita, on the other we have Vita crediting Violet’s manipulation as the cause of of her emotional dependence on Violet. 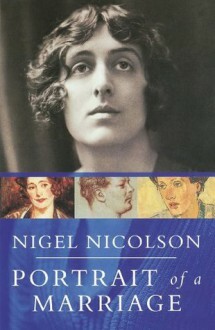 As a result, neither comes across as particularly likeable and I found myself feel rather sorry for their husbands, Denys Trefusis and Harold Nicolson, who went to great lengths to both enable Violet and Vita to conduct their relationship and at the same time protect them from the destructive nature of their passions.